This nature soundscape recording features the sounds of a thunderstorm with birds & wildlife in the Sri Lankan rainforest. 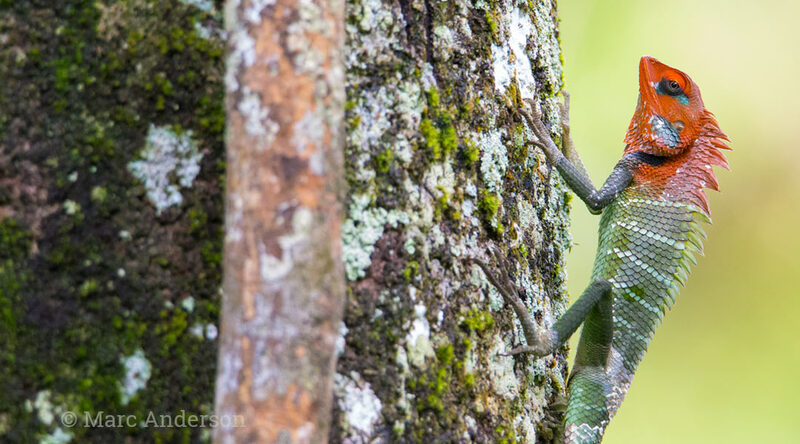 Sinharaja Forest Reserve protects the largest area of rainforest remaining in Sri Lanka. 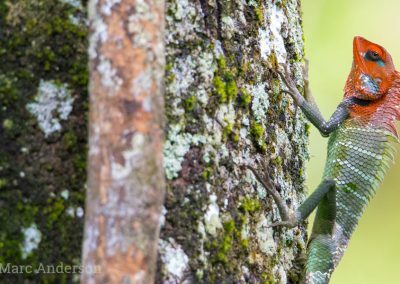 Although less than 140 square kilometres in total area, this UNESCO Biosphere Reserve is a biodiversity hotspot and a haven for the majority of Sri Lanka’s endemic fauna & flora. 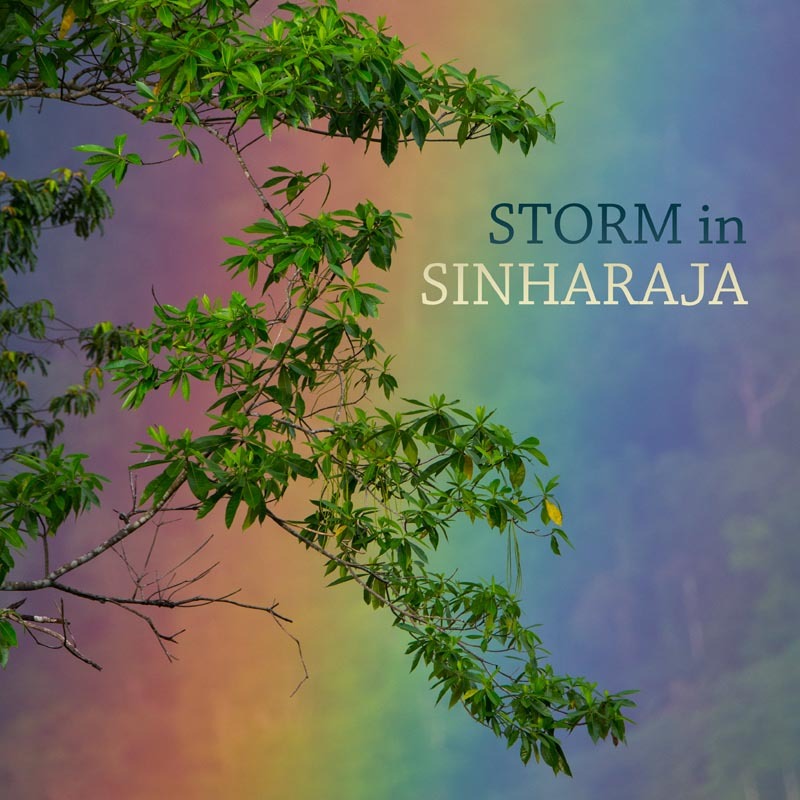 I visited Sinharaja during the monsoon season with the hope of recording some of it’s unique wildlife, but the torrential rain forced me to spend most of the time sheltering in a lodge. However on the final morning of my stay, the rain eased for a few hours and I was able to record the sounds you hear on this album. In the predawn darkness, frogs and insects call from the forest undergrowth while dewdrops fall from the forest canopy. As the daylight brightens Yellow-browed Bulbul sing cheerfully and a distant Chestnut-backed Owlet makes a soft rolling call. 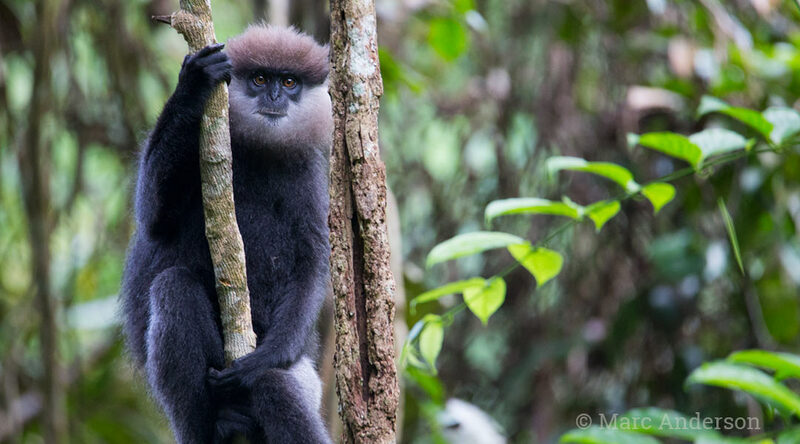 The soft coughing calls of the endangered Purple-faced Langur can be heard from a nearby hillside. Sri Lankan Junglefowl make the distinctive crowing calls throughout this track and most of the album. Later on this track a Spot-winged Thrush sings sweetly while growls of thunder are heard in the distance. 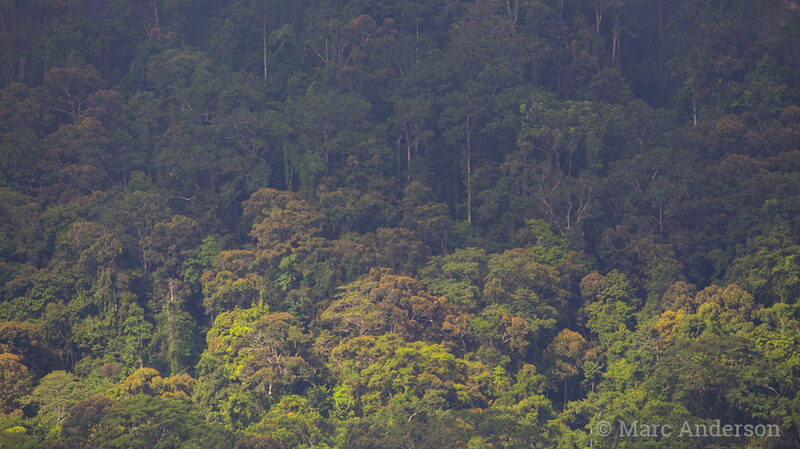 The insect activity increases as the days warms and a light breeze drifts through the forest. 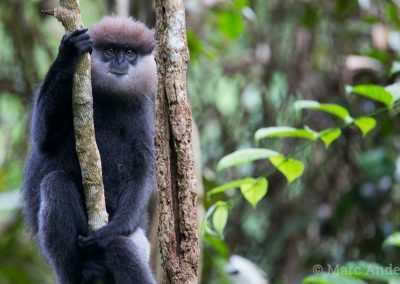 Tickell's Blue Flycatcher and Spot-winged Thrush continue to sing melodiously and Yellow-fronted Barbets can be heard with their repetitive rhythmic calls. 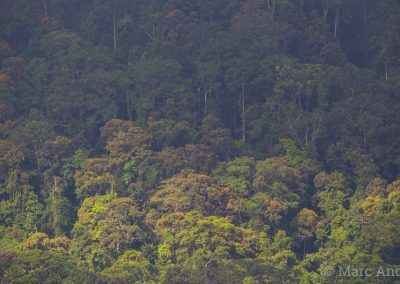 A Sri Lankan Grey Hornbill cackles occasionally in the distance and in the foreground a woodpecker drums. Toward the end of the track light rain begins to fall. The rain continues as the soundscape becomes sparser with most birds seeking shelter from the downpour. 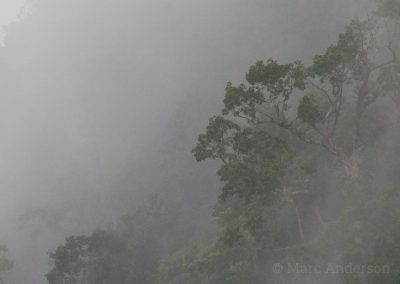 As the rain lightens, a Spot-winged Thrush sings beautifully from the forest along with the lower-pitched simpler phrases of Sri Lankan Scimitar-Babbler. 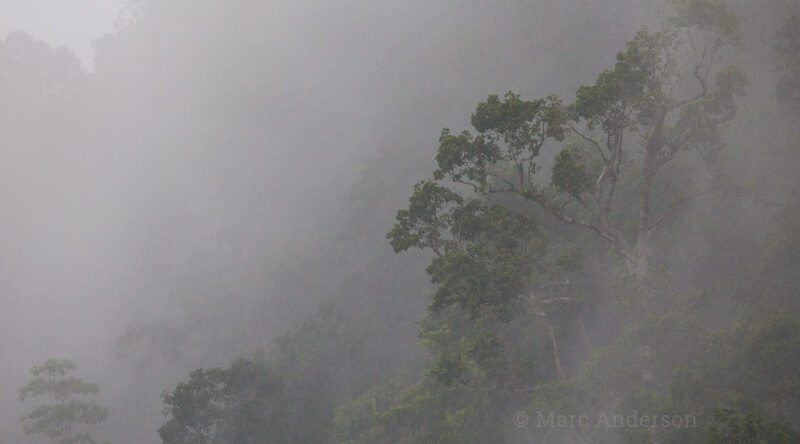 The birds become more active as the storm passes and a number of small frogs call from the wet forest floor. At around 5:00 the unusual call of the Sri Lankan Spurfowl can be heard followed by the tinkling song of Tickell's Blue Flycatcher. Sri Lankan Spurfowl, Sri Lankan Junglefowl, Layard's Parakeet, Chestnut-backed Owlet, Sri Lankan Grey Hornbill, Spot-winged Thrush, Tickell’s Blue Flycatcher and Yellow-browed Bulbul.